December 23rd can be an interesting day for rocket launch enthusiasts. 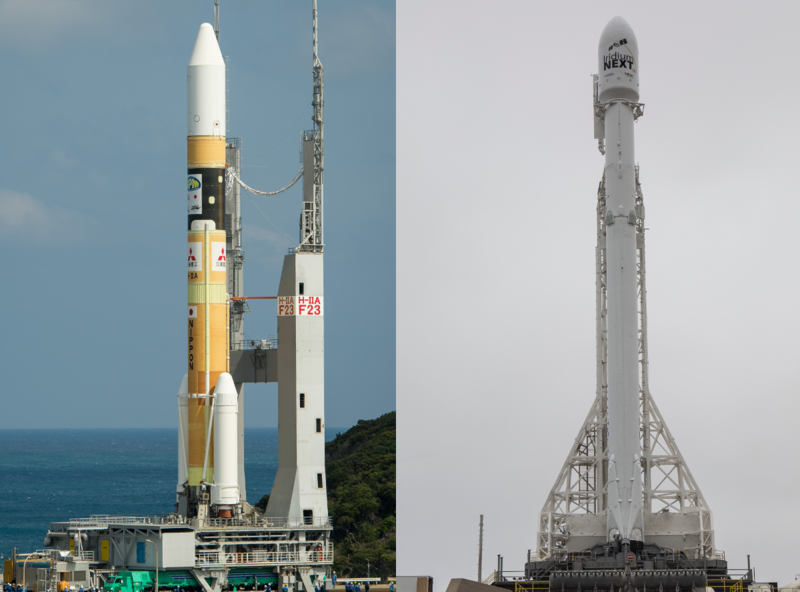 The launch of the Japanese H-IIA and SpaceX's Falcon 9 rockets is scheduled for this day. It wouldn't have been anything unusual if it wasn't for the fact that both launches can be separated by just 61 seconds.